miatan » Blog Archive » I’m ONE today! This day a year ago, my site was launched. Today, my blog has since garnered a grand total of : 130 posts and 799 comments. Not bad la, not bad at all. So much has happened in the past year, i can’t quite believe i survived. 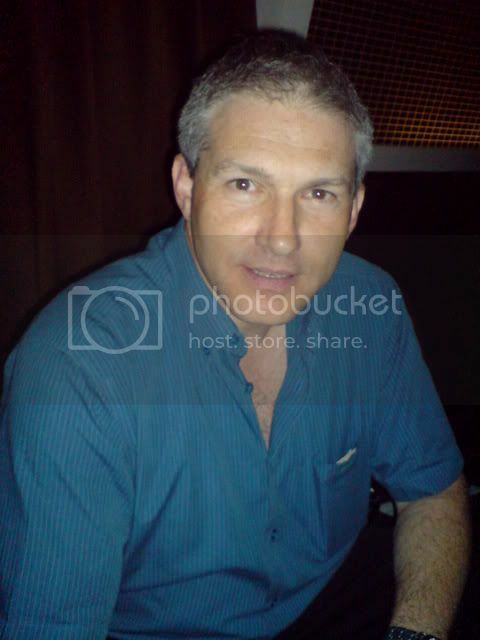 This handsome English man you see is Philip Baum, editor of an aviation security journal. He was going on LIVE on CNN during my hijack, describing what could possibly be happening on board. Interviewing aircrew and even hijackers to get a better understanding of possible situations and deriving counter techniques is part of the jobscope. The rest of it he spends flying to various countries, giving seminars to airlines on aviation security. And this was how i met him. BUT…I write to you as the Editor of “Aviation Security International”, the journal of airport and airline security. I have just returned from Istanbul where I interviewed the crew of the Turkish Airlines flight yo were on. Our aim was to get a true appraisal (so that other aircrew can learn how to manage such situations) of how each of the crewmembers felt during the incident, why they did what they did and their perspective of the hijacking after it concluded. The interview will appear in the April issue of the journal..and I would be more than happy to send you a copy once it is published. The only thing missing is the passeneger perspective. I just found your details on the internet…and wondered whether you would be prepared to EITHER do a written interview (ie. I write some questions and you answer them by email) OR simply write an account of what happened in article format. Key things we’d like to know are: a little background about you and why you were in Albania; who you were travelling with; any suspicious behaviour at the airport or on boarding; when you first realised somewthing was wrong; when (and how) you realised you’d been hijacked; mood of passengers on realising what happened; how it ended (from your perspective); how the Italian authorities treated you; how you continued on your journey. And that was how it started to me writing for his journal and finally meeting him here in Singapore when he came to give 5 day seminar to international airlines at SIA centre. I can only think of the word “ordain” when I first saw him. How he found me off the net, through the various emails, and finally understanding all that has happened on that fateful flight. Apparently, the captain of my plane, Captain Mürsel Gökalp, was locked in the cockpit with the hijacker, believing that there were THREE of them in total, taking over control of the plane. Thankfully, he was alert and calm enough to be constantly radio-ing ground, announcing that he is acceding to the hijacker’s demands and will detour to Rome, Italy. As security measures have been put in since 9-11, Greek fighter jets escorted our flight en-route to Italy, with the permission to take out our plane should anything be amiss. The captain recalled that during the 9-11, none of the pilots radio-ed in because they were murdered, so by constantly contacting ground, he hoped to reassure them that he is STILL the one in control of the plane. And because of that simple but crucial move, he saved all our lives. It was actually quite chilling to hear Philip describe it to me and realise how close I’d come to losing it all. 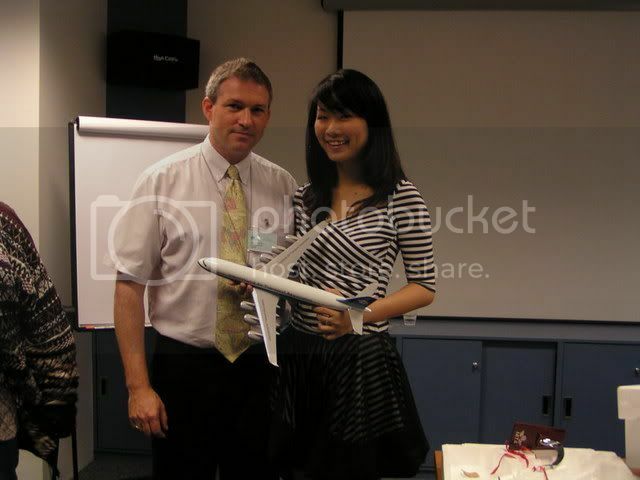 And I attended my first flight seminar where i was the only non aviation crew. Retold the story of the hijack to the class and of cause Philip didn’t fail to mention that SIA actually turned me down for flight attendant TWICE. Must be missing something here. And on the topic of survival, it’s been 7 months full time at my friend’s ad agency and that ranks top in survival tips. A girl’s gotta earn her keep you know, so i’ve sold my soul to the devil. hyak hyak! Also, choose your friends wisely. This i’ve learnt the painful way after realising what hypocrites some people can be. Even though you’ve known them in school since the tender age of 7 and graduated together. Enough of all these sombre tones on a supposedly joyous occasion. Happy happy Birthday to me and my nephew Winston Jin! Celebrate the reasons, no matter of validity, of being alive! Hi sweetie, i’m here!! Thank god, you are alright! I got shocked when reading ur email! You earned ur life back, so be happier for every moment in the rest of ur life, you deserve every happiness, B-day baby! BTW, You looks cute in the pic, and i think philip baum looks like Harrison Ford in that pic.